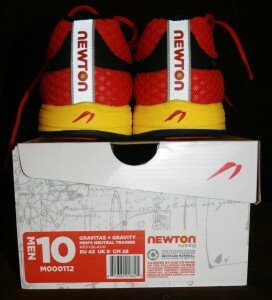 The couple of long time followers of my blog know that I am a big fan of Newton running shoes. 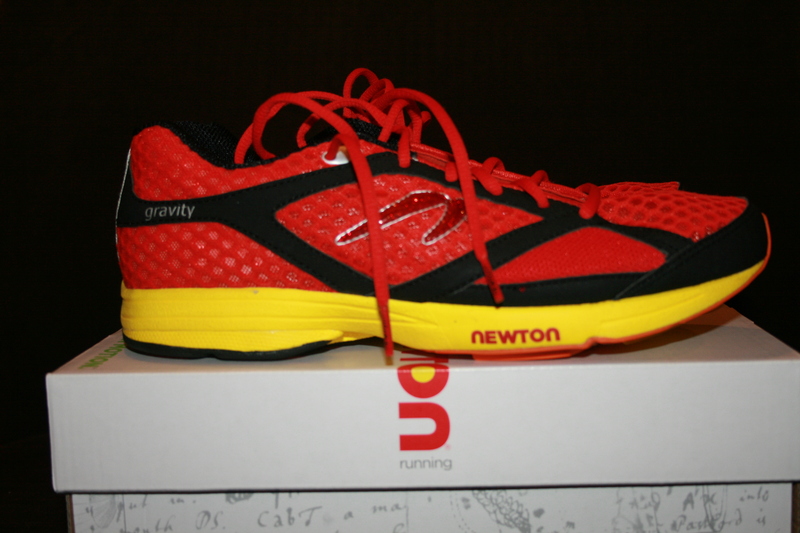 I really don’t have 900 reasons to buy Newton shoes, but I do have a pair of 2011 Newton Gravity’s with over 900 miles on them. That’s kind of 900 reasons. 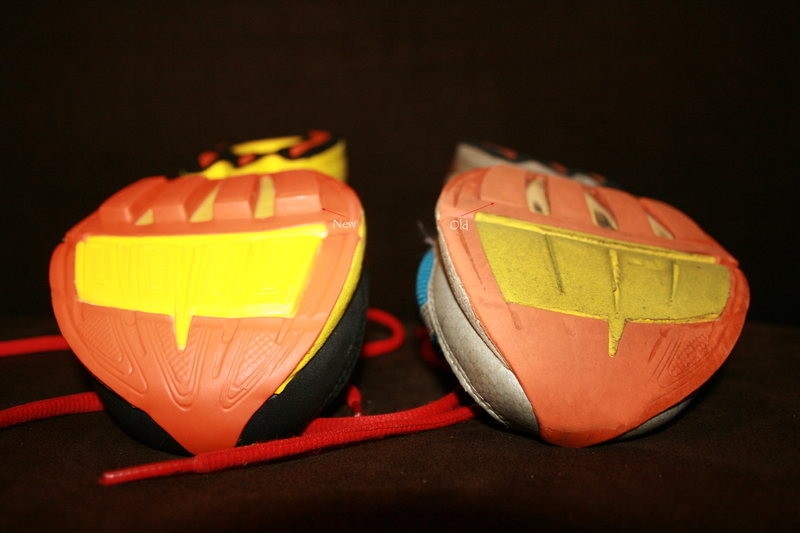 Here’s a picture (right) of the my old pair with 900+ miles compared to a new pair. Notice how the lugs are worn toward the toe. I’ve used “traditional” running shoes, and I’ve tried “minimalist” running shoes. What I have found with the Newtons is they strike a balance between wanting the lower heel-to-toe drop of minimalist shoes and actually having some shock absorbation that the minimalist shoes don’t offer. 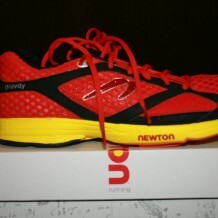 So, with my 2011 Newton Gravity’s over the 900 mile mark, I decided it was time for a new pair. I was headed to one of my favorite shopping locations, Charlotte, NC, and planned to stop in at the Charlotte Running Company to buy a new pair. I still don’t have a local retailer. I could have ordered them online, but I wanted to compare a 10 vs. a 10 1/2. I also wanted to try on a different model of Newtons called the MV2. I arrived at the store late one Saturday morning a couple of weeks ago. The had the 2012 Gravity’s but only in 10 1/2. Unfortunately, these were too big. Well, the manager (I think) got on the phone for a minute, then told me he’d be right back if I could wait about 15 minutes. No problem. I just drove 2 hours, so I didn’t mind. I think he grabbed a 9 or 9 1/2 box of Newtons and headed out the door. While waiting, I tried on the MV2’s. 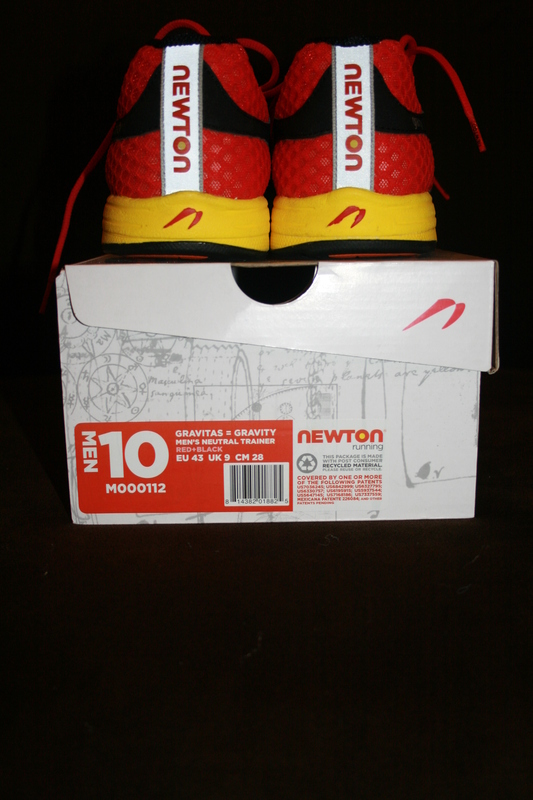 These are sort of the ‘racing flats’ of the Newton line, geared for shorter distances. They were way too tight for me in the toe box. Oh well, I couldn’t afford two pairs of Newtons anyway. I think they were yellow, too. Not really my style. Now I was “forced” to shop in the running store for a few more minutes. Darn. The manager returned shortly with the 10’s. These fit well and I took them. I’m not sure if he met a guy in a back ally to swap shoes or happened to have a agreement with a competitor up the road to swap the 9 for the 10. Didn’t matter to me. That was great customer service. When I bought my 2011 Gravity’s last year, they cautioned me to build up slowly with these. The lugs on the sole really work your feet and legs differently. I heeded their advice and only did short runs in them of two miles or less for a week or two. I figured this year I was in the clear, having run in the old model for a year. Nope. The first thing I noticed was that the new shoes worked my feet and calves differently again, just like in 2011. By mile 4 of the first run, I knew I better build up slowly again as I had some discomfort in my left foot and calf. By the third short run, I was OK, though. I still haven’t gone over a 5 mile run in them, but the discomfort is gone. I’ll slowly build up to longer runs in the 2012’s while phasing out my 2011’s. Do you have a comparison picture of the heel part of the shoes? I’d love to see it because I’m not sure mine are going to last anywhere near 900 miles. Here’s a link to a picture of the bottom of the shoes around 600 miles: http://palmettostaterunner.com/?attachment_id=1555. I can get better pictures with a better angles tonight when I return home. I’ll post those later. I took a couple of heel pictures. These give side by side comparisons of a 2012 Gravity with 70 miles vs. a 2011 Gravity with 976 miles. There is really very little wear on the 2011s! The orange has finally worn off in a few spots. Thanks for sharing your photos. I bought my first pair of Newtons in July (still not at 60 days) and have about 80 miles on them so far, but I cannot seem to consistently ‘get it’ in terms of running form. I will go a few runs with no calf/soleus issues but then out of nowhere the problem will creep up again. Sometimes it is the right, others it is the left, today it was both. I guess after nearly 33K miles of running one way, I still cannot consistently get this shorter stride, higher cadence thing down. The only reason I haven’t thrown them into the bay (besides the cost) is that I run so much faster in these shoes that I hope some day it just clicks in and I can run free of having to think and worry so much virtually every step. Thanks for the blog post…this google blog search is very cool. Sorry to hear you are having still having some calf issues. Did you by any chance switch from traditional 12mm drop shoes straight to the lower drop Newtons? If so, you are likely to experience calf/soleus problems for while. Took me a long time to adjust from 12mm Adidas to 4mm Saucony Kinvaras when I reduced my heel-toe drop the first time. Then, it was about a year before I switched to Newtons after that. If this is what you did, I’d suggest finding a shoe in the 6-8mm drop range and rotate those in and out with your Newtons. If you are already running in lower drop shoes, you may want to still rotate some with your old shoes, but I’d also suggest contact Newton customer support. They can advise you best on your issues. They have been excellent to to deal with. You may also want to see if you can find a Newton certified coach in your area to watch your form. You can find their contact info and coach info here: http://www.newtonrunning.com/support. Good luck. Thanks for stopping by. Excellent advice. Thanks. I have worked with one of their coaches who came up an hour to see me. One on one was much more effective than the group session I did a month earlier. I think the shoe advice is really sound and am going to check out the new Asics Gel Lyte 33. I’ve run in Asics for 25 years and love them, so would like to find a way to keep them in the rotation. This is like an 8-9 ounce shoe and has a drop of 6mm. After running in one style for as long as I have, all of this is a big hurdle to get through.